When Joe Roman thinks about Guantánamo Bay, he sees an opportunity to turn a symbol of U.S.-Cuba tensions into a scientific engine of diplomacy. The University of Vermont conservation biologist and a colleague want to turn Guantánamo military base and detention center into a peace park and a research facility where U.S. and Cuban scientists could study issues both countries share, from climate change to coral reef preservation to marine pollution. He admits the vision is a long shot right now—the United States isn’t closing Guantánamo and returning it to Cuba anytime soon, for one. However, the recent thaw in U.S.-Cuba diplomatic tensions gives him hope. “I see it being a win-win for both countries and for the region in general,” Roman told Eos. Roman’s spirit echoes growing optimism among scientists in a time of rapprochement highlighted by President Obama’s visit to Cuba last month. Many marine and Earth scientists say the U.S. reengagement with Cuba under Obama is sowing the seeds for a new era of scientific collaboration. Although Obama’s actions haven’t removed every barrier and other challenges lie ahead, the movement toward cooperation is picking up pace. This is giving scientists hope. “I don’t think we ever thought the change would happen this fast,” Fernando Bretos, a marine scientist and director of the Miami-based Cuba Marine Research and Conservation Center (Cubamar), told Eos. Ever since a trade embargo and other restrictions were placed on Cuba during the Cold War, Americans, including scientists, have needed to obtain special permissions and visas to travel there. Also, U.S. law has strongly restricted shipments of scientific equipment to Cuba and the use of federal funds for research done with Cuban scientists. Likewise, Cuban scientists have faced their own nation’s restrictions on working with U.S. scientists, traveling to conferences, and using boats for research, according to marine scientist David Guggenheim, president of the Washington, D. C.–based nonprofit organization Ocean Doctor. The restrictions had long made collaboration logistically challenging and psychologically frustrating, according to Daria Siciliano, a Cubamar associate of Bretos’s and a coral reef biogeochemist and ecologist at the University of California, Santa Cruz. Familiar with that frustration, atmospheric scientist Alan Robock of Rutgers University in New Brunswick, N.J., recounted to Eos that it took 20 years to get one water vapor monitoring station installed on the island. However, Obama has gradually loosened constraints on travel to Cuba for research activities, educational exchanges, and other purposes. Last year, the Commerce Department lifted restrictions on donations of scientific equipment to Cuba for nonmilitary uses. The scientific equipment policy is arguably the most impactful change for scientists, says Guggenheim, who has visited Cuba more than 80 times. High-quality equipment taken for granted in the United States—from mass spectrometers to microscopes—is lacking in Cuba, scientists say. The Obama administration has also made it easier for Cuban scientists to obtain visas to travel to the United States, Guggenheim said. “That’s dramatically changed our ability to work together,” he told Eos. A lot of the bricklaying for future collaboration started behind the scenes before the governments started reengaging. Individual scientists have collaborated for more than 20 years despite diplomatic silence between the United States and Cuba, Frances Colón, a science adviser at the State Department, told Eos. 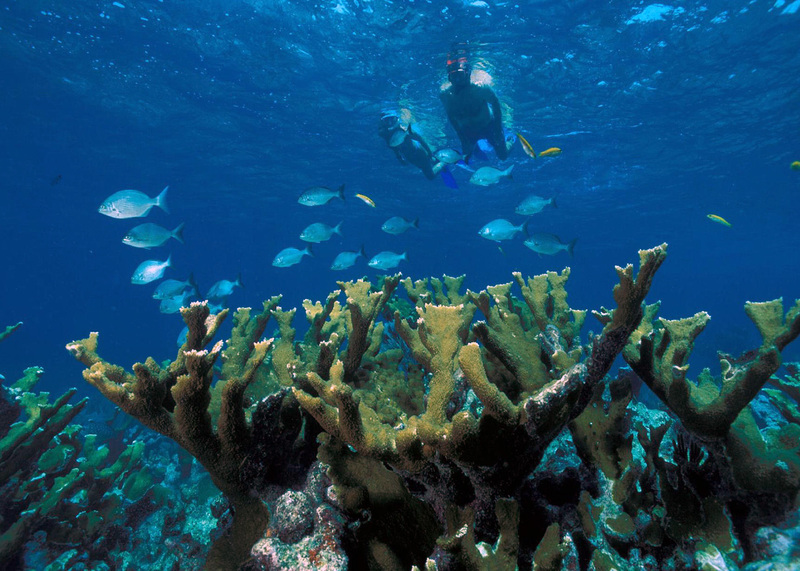 Mexican and Cuban nonprofit groups and scientists have also, more formally, met since 2007 to promote environmental and marine science collaborations. U.S. officials couldn’t join these talks initially. However, Siciliano argued that these meetings helped lead to a November 2015 U.S.-Cuba memorandum of understanding on environmental protection—not even a year after the countries normalized relations in December 2014. In the agreement, the countries pledge to, among other things, “strengthen cooperation on scientific research” into climate change, pollution, and conservation. Some of this government-initiated collaboration is already under way, according to the National Oceanic and Atmospheric Administration. The countries agreed to share research, initially focusing on five sensitive areas of the Caribbean Sea to protect them better. Collaborative fisheries and oceanographic research is also in the works; last year, U.S. scientists completed an oceanographic survey with Cuban colleagues in areas of the Caribbean, Gulf of Mexico, and Florida Straits. The White House said last week that it would convene a working group to find more collaboration areas. Some barriers remain. Continuing restraints on federal funding for research with Cuban scientists may limit how much collaboration can occur. Also, unless Congress ends the trade embargo, scientists can’t move equipment to Cuba on U.S.-outbound ships; scientists must still use costly, logistically complicated shipping methods like chartered air flights or Cuba-bound ships from different countries, Bretos says. Adding to these U.S. hindrances, the Cuban side presents some of its own—for instance, a skeptical military that may suspect technology given or donated to scientists is destined for nefarious uses such as spying, said Robock, who has visited Cuba repeatedly and chatted with Fidel Castro about Robock’s research on nuclear winter. The longevity of U.S. overtures also remains uncertain. Dan Whittle, senior director of the Environmental Defense Fund’s Cuba program, noted that with just 10 months to go in Obama’s presidency, a future president of the opposing party could roll back his actions. “A lot more needs to be done on the ground to make those changes irreversible,” he told Eos. With just 10 months to go in Obama’s presidency, a future president of the opposing party could roll back his actions. Colón acknowledged the possibility of a rollback, but she argued that scientific collaboration benefits all. “Science is not something that should be caught up in political debates,” she said. Citation: Kollipara, P. (2016), U.S.-Cuba scientific cooperation revs up, Eos, 97, doi:10.1029/2016EO049469. Published on 4 April 2016.